NAN, Dr Gbemisola Boyede, a consultant paediatrician at the Lagos University Teaching Hospital (LUTH), has cautioned against the practice of using palm oil as an antidote for poison. Boyede told the News Agency of Nigeria (NAN) on Wednesday in Ilorin that the use of palm oil as antidote against poisoning could be a dangerous practice in some instances. Also Read; Health: Vesico Vaginal Surgical Repair Camp Begins in Kebbi State. According to her, contrary to the popular belief, palm oil is not an agent to induce vomiting. ”Most people believe that once someone ingest poison, the best thing to do is to induce vomiting to get the poison out of the system or give an antidote that can neutralise the effects of the poison. 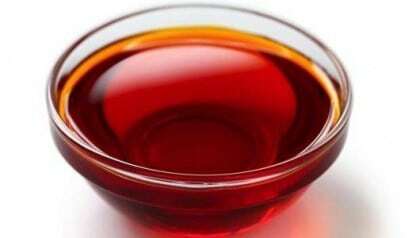 ”In Nigeria, the most commonly used agents, either to initiate vomiting or neutralise the effects of poison, is the red palm oil. ”This is, however, dangerous for two reasons; inducing vomiting only works if the poisoning has occurred less than one hour before. ”Using palm oil to induce vomiting has its own health risk, as its inhalation into the lungs can lead to a complication of pneumonia, where the child actually develops breathing problems. “This is due to the inhalation of the oil fumes into the lungs,” Boyede said. She added that inducing vomiting should not be done in cases of swallowing hydrocarbons such as kerosene, petrol etc. ”This will cause serious breathing problems. So in all cases of poisoning, get the bottle of the poison, if you can, and go to the hospital immediately,” she added. The pediatrician explained that the best thing to do is to go to any hospital’s children’s emergency room immediately for evaluation by the doctors. Inducing vomiting, according to her, means giving something or doing anything to make the person, who has just ingested a poisonous substance to vomit, so that the person will vomit the poison before it is absorbed into the system. She said that this could, however, only be done for certain types of poisons “and only if the poisoning has not been ingested for more than one hour. “For example, a child, who has swallowed some iron tablets (blood tonic tablets), if seen before one hour, can be induced to vomit out the tablets,” Boyede said. Boyode, who described the use of palm oil for inducing vomiting as a myth, however, noted that not all myths have health implications, “but the dangerous ones should be avoided”.